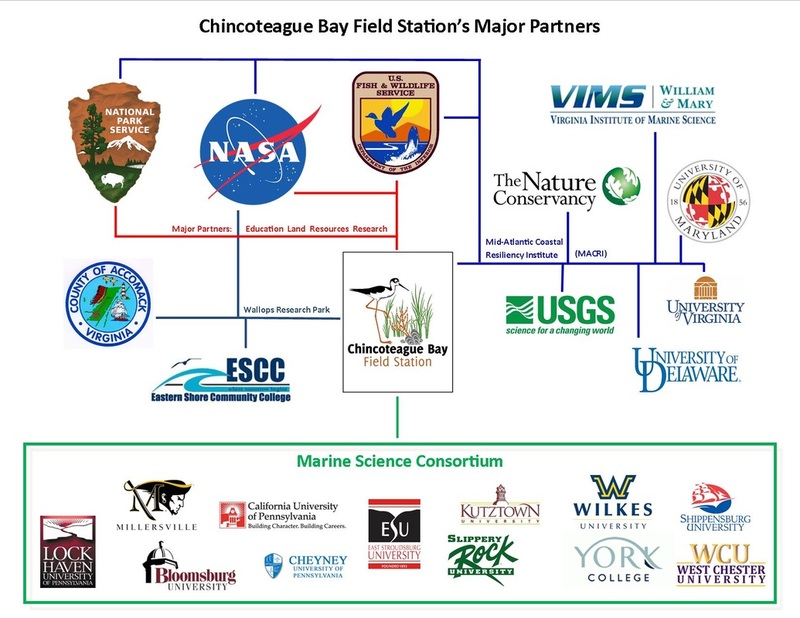 Chincoteague Bay Field Station (CBFS) works with a number of partners to accomplish our strategic goals and objectives. Partnerships help us improve and grow our educational programs, conduct research, restore habitats, and reach more learners. Below is a graphic of some of our significant relationships with our partners.